New Way? It dates back to ancient Egypt! 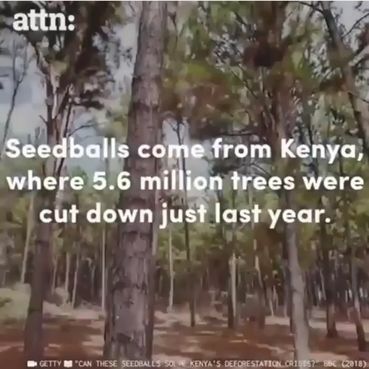 Great news for our planet thanks for sharing. It is great to see steps being taken to restore trees and help the environment. Thanks for sharing this, Hristina. Not exactly new - I first heard of this in the 80's. There are methods for coating seeds to prevent birds eating them. I visit the following websites (as well as care 2, obviously!) everyday: Greatergood.org, Care to Click, Ecologyfund.com, Click for the earth, Brother earth, Naturavet.se protect Sweden's old growth forest, Land Care Niagara, Give rice for free (nothing to do with trees - donates rice), and Answer 4 earth.